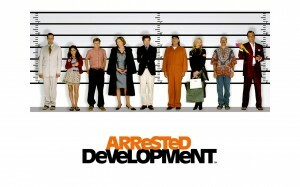 Arrested Development is back on the air – well technically. You won’t find it on cable, and you won’t have to wait week after week for a new half an hour episode to air. 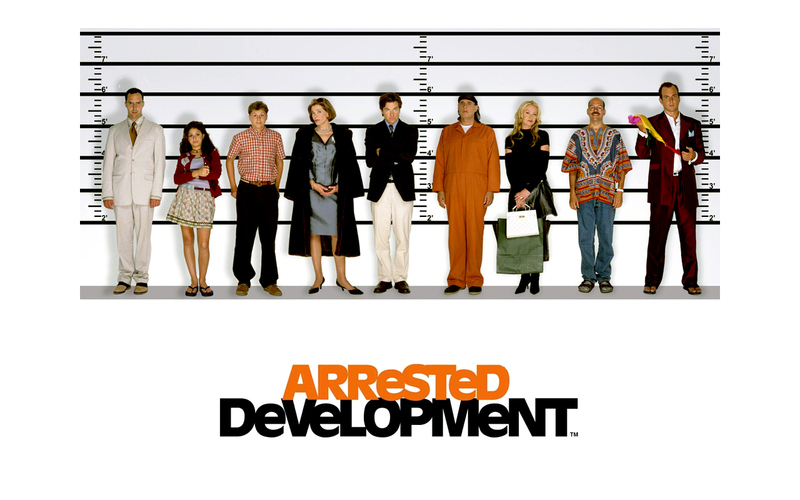 Everyone’s favorite binge, get-over-relationship, eat candy and pass out video streaming service Netflix has saved Arrested Development after the show’s development itself was arrested in 2006. Many fans rejoiced at the idea of the show coming back on the air, as several felt the end of the series was before its prime and too abrupt. The show was shelved by Fox who have a history of putting great series on the backburner (I swear I’m not a bitter Firefly fan) in favour of tacky sitcoms that never seem to last more than two seasons. However, with the fourth season finally airing on May 26th, there has been a large divide on opinions about the return. It seems as though one half is just thrilled to have fifteen more episodes, while the other half seems to take any chance they can to critique the new season. The casts appearances are under fierce scrutiny; jokes are apparently being dragged out for too long; the longer episodes are just too much and it just isn’t real Arrested Development are the frequent complaints. To those people, I ask you on behalf of all of us to get off your high horse. The fourth season itself was fairly on par with the third season, in that it had several mixed reviews that wowed some and turned others away. The show achieved cult status, and then went away for seven years with those who watched the show during its prime pining for anything more – which allowed them to create the ideal Arrested Development in season four. So when those expectations weren’t, and really couldn’t have been, met, there was a faint whispering that gradually grew that there didn’t need to be a fourth season. The season itself probably would have fared pretty well had it aired in 2006. All of the aforementioned issues do have some relevance, or else they wouldn’t be coming up, but it is easier to imagine they’d be forgiven if they had been while the show was still in its original run. Yet there are still great moments of comedy television to watch in the seven and a half hours of new television, and for how tiresome Ron Howard gets by the end of the season, there is more of Gob and Tobias to love. There is wonderful scene in which Tobias ends up accidentally guest starring on a reality television series that comes to mind specifically. If anything, the fourth season is worth watching for that alone. off the air again, and we all know how well that went over last time. Next story I could have been at a barbecue!